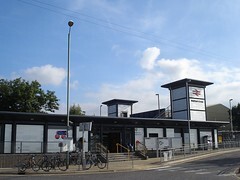 Zone 7 rail station in Waltham Cross, with trains to Liverpool Street. Previously outside the zonal system, it was placed in Zone 7 in January 2013. Page last edited 2013-10-11 10:08:01 (version 1).